Hydrojetting is a needed service for all homeowners, but you cannot do the job by yourself. A professional and licensed plumber performs hydrojetting using special equipment, and you must be prepared for the plumber to arrive. Your plumber provides you with all five benefits listed below, and they will supervise the job from start to finish. 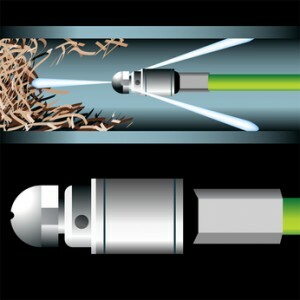 Hydrojetting helps you to clean the pipes, show what was in the pipes, provide a service record for the house and increase your home’s value. Your plumber performs the job using industrial equipment, and they understand how to perform the job in a safe manner. You receive these benefits every time hydrojetting is done, and you may decide to schedule the service to happen semi-annually or annually. Your plumber watches over the job as it happens. Someone on the plumbing crew will watch the outlet pipe at your home, and this person can alert you to items that are coming through the system. A plumber sees standard items that clog your pipes, but your plumber may see something that is truly out of the ordinary. Anything that is worrisome can be addressed by your plumber at the time of the job, and you may be able to change the way you use the plumbing system in the house to prevent future problems. The pressurized water used in hydrojetting often cleans drains as it moves throughout the house. The bottom of every drain in your home is home to items that could have been stuck there for years. The water brushes off all these things for you, and you will not have to remove the drains to clean them. If you suspect a build-up in your lines, don’t hesitate to schedule hydrojetting services. Call (410) 268-7191 and let Heidler Plumbing clear the pipes of your Annapolis area home.